It is a game played all over the world.Two of the best teams on the globe originate from Spain.I go to it every Tuesday and Saturday.My favourite player is Lionel Messi,and he plays for Barcelona.It is my favourite game, because my friend set it up for me a few months ago, and I have been playing ever since.It is my favourite game to play, and it gets you really healthy and fit.I play it at de la salle football club and I play as a defender, and a defensive midfielder.I really enjoy it, and I hope I will play for a long time. Well, I don’t think that there will be any gold stars for guessing your precious thing Seán! It has to be football! You’ve written a great description here, and made it easy for the reader to guess your favourite thing. I liked the word “originate” too. Very nice! Keep up the great work! Seán, I think we have a common interest in this sport! It is great that you play and see the benefits of it as well as the love of the game! I always think learning how to work as a team is another important skill. Keep it up and hope you are enjoying the success the Irish team are having at the moment. Well done on your writing too!! Could it be soccer???? Your descriptions were excellent and I can see from reading them that this really is treasured by you and that it means so much to you. Lionel Messi was a bit of a giveaway though as I’m also a big Lionel Messi fan. Although if someone didn’t know who Lionel Messi was (is there really anyone?) then it would have added to the puzzle. Well done. 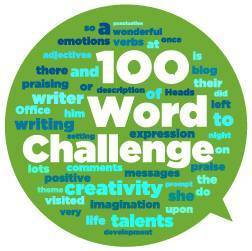 Great writing for the 100 word challenge.